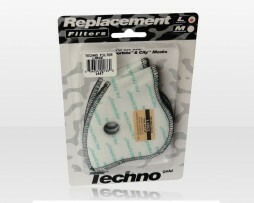 The Techno™ Filter Twin Pack contains two replacement filters for use in your Respro® Techno™ Mask. The filter is suitable for use in heavily polluted environments, i.e. air that is full of diesel particulates and respirable dusts that lodge deep within the lungs and air sacs. It is a combination of the Sports™ filter and the City™ filter giving you both sub-micron particle filtration with gas and vapour filtration. What this means is that the filter is able to trap particles less than one micron in size. With the capability of filtering VOC’s, the Techno™ filter is the best available in our range for dealing with the broad spectrum of pollutants that are out there in heavily polluted urban environments. 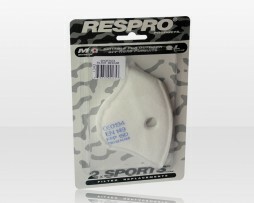 The Sportsta Filter Pack contains two replacement filters for use in the Respro® Sportsta™ Mask. The Sports filter has sub-micron filtration capability and is usable in both countryside and urban environments. This sports hepa-type filter is able to trap particles less than one micron in size (sub-micron) and is more than capable of the removal of PM2.5 respirable particulate matter found in both urban environment. This filter can be used with any Respro® mask (with the exception of the Metro™ mask) provided that it is the same size filter as the mask size ie; large filter – large mask. These are so sick!!! It was a different world on the playa for me this year. I OWN the elements! Thank you so much. I feel bad for people using scarves and nursing masks so I bring a few of these every year to bless someones week… I am sensitive and have tried everything out there. These are the best masks I have found. Nothing compares. I’ve tried every mask out there and these are by far the best on all fronts. The old bandana or the massive 3m “respirators” (and, ugh, hospital masks that make you look like a bird-flu paranoiac) are not advisable in any way. 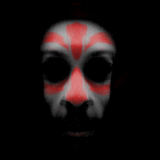 Playalung is a God-send. Thank you!!! Yes dear, you will get your masks before you leave for the Burn. Free shipping takes 2-4 days. Expedited priority 2-3 days. Next day 1-2 days, usually next day. It's just me over here and I'm going to the post office twice a day. Trust the goodness of the heart of humanity and don't forget to relax.